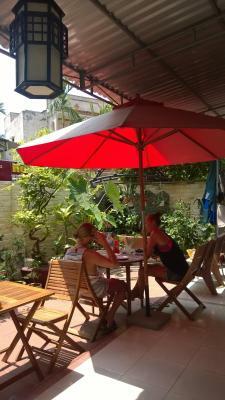 Lock in a great price for Hi Hop Yen Homestay – rated 9.3 by recent guests! Hi Hop Yen Homestay offers rooms with free Wi-Fi. 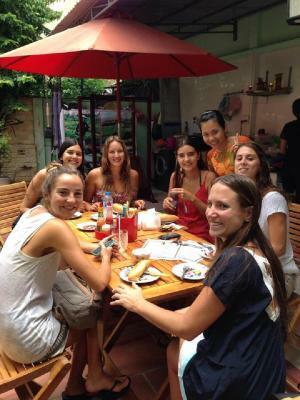 Located 2,650 feet from downtown Hoi An, the homestay features a 24-hour front desk and is a 5-minute walk from the daily local market. 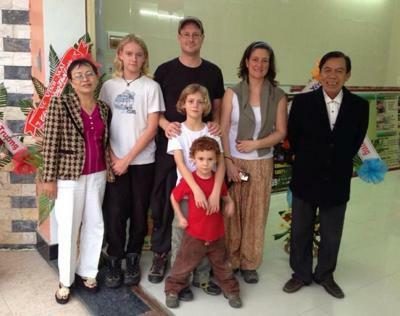 The property is 1,650 feet from Tra Que Village and 2,300 feet from Chuc Thanh Pagoda. An Bang Public Beach is about 1.2 mi away. 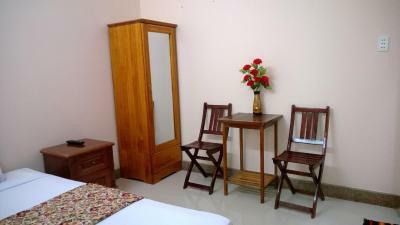 Air-conditioned rooms feature cable TV, a desk and a seating area. The private bathroom comes with shower facilities and free toiletries. Guests have access to a garden and shared kitchen. They can also relax at the shared lounge, or make ticketing and tour arrangements. Breakfast is served daily from 07:00 – 12:00. 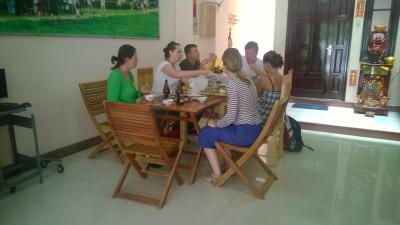 When would you like to stay at Hi Hop Yen Homestay? Featuring a double bed, larger air-conditioned room for 2 includes a mini-bar, cable TV and desk. 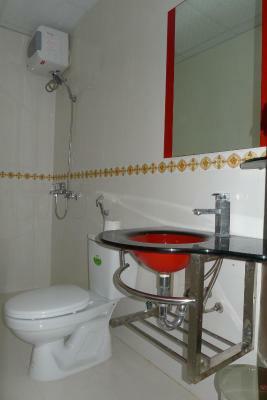 A seating area and private bathroom with shower and free toiletries are included. Select rooms have a balcony and are subject to availability. Featuring a balcony and 2 single beds, spacious air-conditioned room for 2 includes a cable TV and desk. A seating area and private bathroom with shower and free toiletries are included. 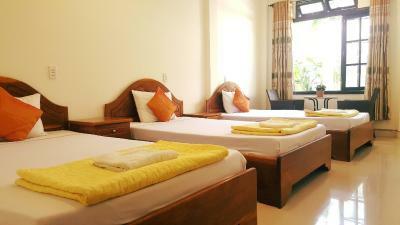 Featuring a single bed, air-conditioned room for 1 includes a mini-bar, cable TV and desk. A seating area and private bathroom with shower and free toiletries are included. 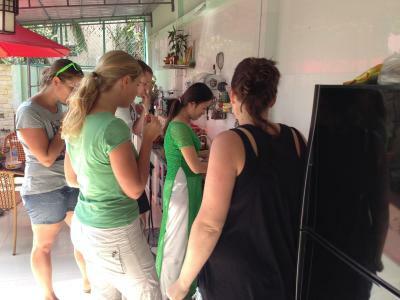 House Rules Hi Hop Yen Homestay takes special requests – add in the next step! Hi Hop Yen Homestay accepts these cards and reserves the right to temporarily hold an amount prior to arrival. Please inform Hi Hop Yen Homestay of your expected arrival time in advance. You can use the Special Requests box when booking, or contact the property directly using the contact details in your confirmation. Ti and his family were super nice and welcoming, and gave great advice on places to go. We were greeted with a fruit plate and cooked a delicious breakfast every morning. 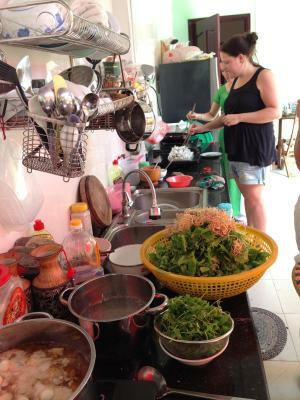 There were free bicycles available for use and the homestay is placed perfectly between the old town and An Bang beach. The room was large and clean. Our bed was quite hard, but we were provided an extra foam layer to make it softer. As another reviewer mentioned, there's a great vegetarian restaurant around the corner too. We really enjoyed our stay here! The family were lovely and super helpful, speak really good English and made us feel very welcome. The room and bathroom was very clean and everything in working order. They let us use bicycles for free and gave us ideas on where to go and what to do. 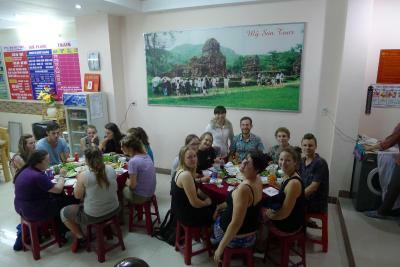 We booked a tour with them which was easy as everything is laid out to see exactly what you can book and the prices. Laundry prices are really good too. They made us breakfast every day and it was so tasty! We were also invited for dinner as everything shuts on new year and it was so kind of them to offer this for us, we couldn't thank them enough. The location is very nice and quiet, only a 15 min walk to the river or quicker by bike. It's about 30 mins bicycle ride to the beach or coconut island. And a really nice vegetarian restaurant just round the corner, 1 min away that sells beer for 5k. (: I reccomened this. If I ever travel back around to hoi an in the future I will be looking out for this place. Even the location is little far from thr old town it is more accesible to go to the beach. Amazing breakfast, nice and lovely people, everything was clean and as they offer. Pretty big bedrooms.